If you are here for the first time – WELCOME! If you are a regular reader – THANK YOU! The first day of each month has become quite special here at It’s Just Life – Finding the Extraordinary in the Ordinary. I began doing Comments for a Cause back in April 2011 and it has grown to be the most wonderful thing that I could do and I am so grateful to each and every reader and for each and every comment made here over that time period. 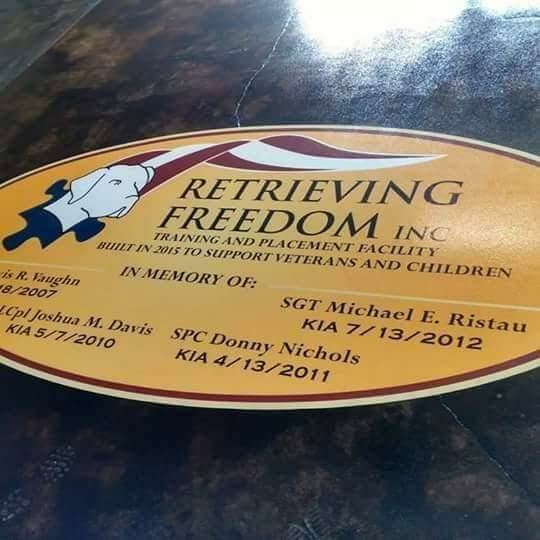 During June I highlighted Retrieving Freedom, Inc to be our recipient for the month. Based locally out of Waverly this wonderful organization helps supply service dogs to veterans, children with autism and most recently adults and children with diabetes. Their dedication and passion is evident in all of the comments that folks peppered my blog with over the past month and I had so hoped to be able to go to their open house but just could not break away from the moving preparation to make the trip. You can read more about their organization by clicking here or by visiting this blog post to read more. Chris and I are thrilled to announce that we will be making a donation of $200 to Retrieving Freedom, Inc. to help in their continued work. Thank you to each one of you who took the time to read and comment. It all added up. I know I say this every single month but this month I am so excited! This month I am proud to highlight a cause that is bound to be one that you can get behind. Bill Kline has been a family friend ever since I can remember. Remember those infamous Mustard Kline Brown picnics I have posted about at Lakeside during East Ohio Annual Conference? Well, Bill is one of “those” Klines and if I can be proud of any friendship that I have it has to be our ongoing friendship with Bill and the rest of the Kline clan. Enhancing the Hilltop through growing food and educating children and neighbors. 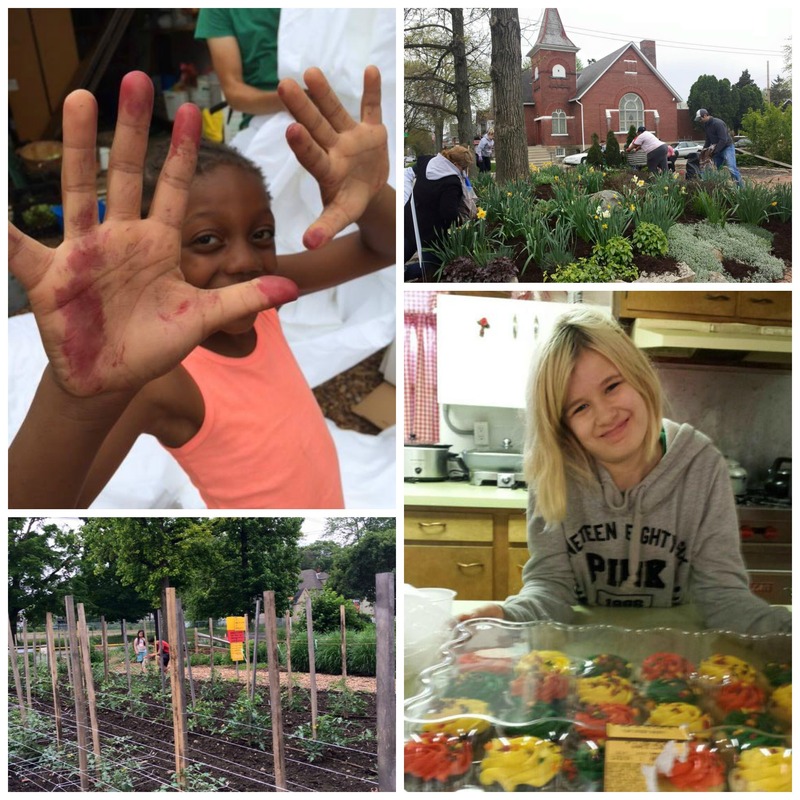 Building a healthy community through gardening. When we were together at Lakeside in June I took the chance to sit down with Bill and talk about his passion – The Highland Youth Garden. (Please disregard the vacation attire and noisy background –we kind of did this on the spur of the moment). Bill Kline Talks About the Highland Youth Garden from Beth Ann Chiles on Vimeo. Can you see why I love this cause for July? What is better than a combination of friendship, learning, children and food? Not much. 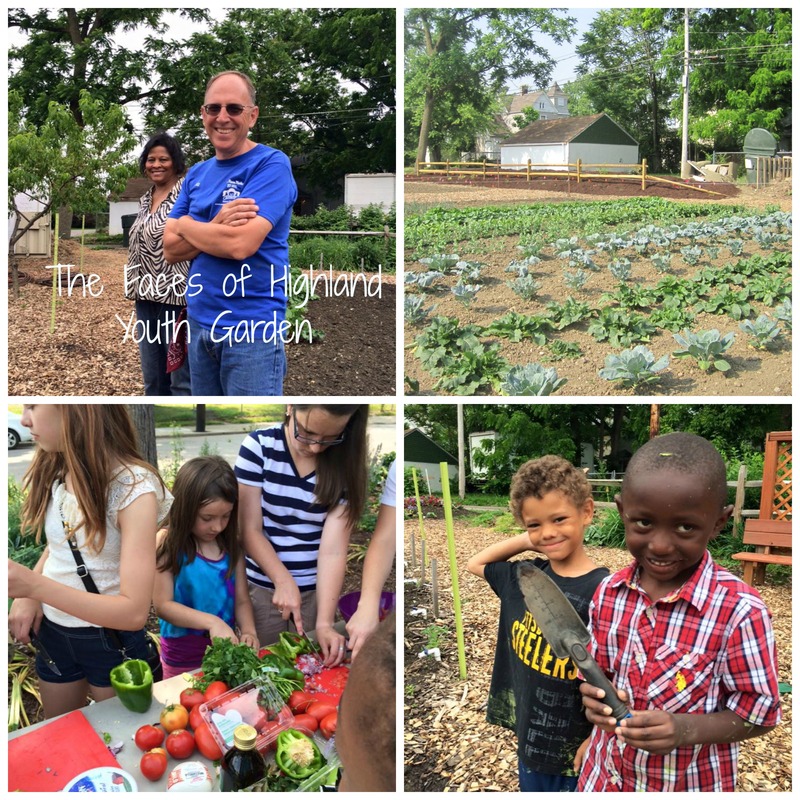 Please go to the Highland Youth Garden website by clicking here to learn more about what they do and visit and like their Facebook page here. I would love to see them get a lot more “likes” on their Facebook page and I bet together we can do that. For every comment made on It’s Just Life – Finding the Extraordinary in the Ordinary during July on ANY POST Chris and I will donate $1 to Highland Youth Garden. Double our normal donation this month because this one is really special, folks. Comment often. Share the love. Any post. Any time. $1 per comment. Outtake from from Beth Ann Chiles on Vimeo. Wonderful story. Always nice to read about your causes. Thanks, Ozzie! This one is special—they all are but this one especially! What a fantastic cause! I love that you do this each month! Thank you, Jenni! It is the best thing I do on the blog, believe me. Any you guys keep supporting it so I keep doing it! Another wonderful cause and especially so given the personal connection. Thanks, Audrey. I am so blessed to know so many people with truly giving hearts. Bill tops the list. Bill is amazing. He works crazy long hours in the garden and helps individual children as well. And it does not stop there, does it? He gives of himself to the parents as well and tries to make a difference everywhere he is. The old adage that goes :”Give a man a fish and you feed him for a day, but teach a man to fish and you feed him for a lifetime” certainly also applies to gardening doesn’t it? Great cause again Beth Ann. I think the adage is true and definitely works for this one as well. Thanks for stopping by and supporting The Highland Youth Garden. You should see the skills the kids have, both with planting, tending and harvesting, as well as cooking. I bet they put a lot of adults to shame with their capabilities. There is nothing like an enthusiastic child! I love this cause! It’s awesome!! Thanks so much! This one is a good one! Hello Beth – Thank you for being a friend and for making the Highland Youth Garden your cause for July. We have good news. The garden recently received donations that has allowed us to hire a second educator for the growing season to work with the classes of children coming to the garden. Each week, around 200 children are engaging with their teachers and our volunteers in the garden. The blessing keep flowing. Bill Kline, Volunteer gardener for the Highland Youth Garden. That is wonderful news. Chris and I love what you are doing at the garden. The lives of many are being changed for the better!!! I am so happy to hear that, Bill! That is a wonderful thing and the work that all of the volunteers are putting into the garden is showing. People just want to be a part of what you are doing there and what an amazing thing that is. Congrats and let’s make this month a great one for comments her on the blog! What a special man and a special cause. Your admiration of him shines through in your interview! He is the real thing! Thanks for stopping by!!! He has the biggest heart ever and yes—I do admire him a lot. A lot of people talk about doing good things. Bill actually does them. As another “Friend of Bill,” (that used to be a phrase! ), I’ll chime in on what a worthwhile project they have going at the Highland Youth Garden. Bill’s commitment, enthusiasm and contribution to the project is inspiring, and his involvement with that community includes WAY more than gardening. I wish you could all have the opportunity to talk with Bill, his enthusiasm is infectious. This is truly a “worthwhile cause,” exposing urban children to a whole ‘nuther world, one kid at a time… To hear him describe the emotional investment and ownership the children have for the garden (and not only the children, but the entire community) is nothing less than incredible. If every community had similar projects, and dedicated folks such as Bill committed to seeing them thrive, I believe we’d see resolutions to many of our societal woes. Sure, it is growing veggies, and educating children, but the most important result is strengthening communities. This is a good one! Thanks, Mark, for your endorsement of Bill and his mission. I agree with everything you said. This is such an amazing project and there is so much potential for getting more involvement from all over. Bill’s dedication is amazing and admirable and it is people like him that make a huge difference in the big scheme. Another great cause and I love the addition of video to this month’s post! I also love the video! so fun to hear from the receiver! Bill is such an amazing guy and I think his humbleness is one of the things that I love about him the most. He is truly a servant and loves all those kids and families who are a part of that community. Bill (also known as my father-in-law 🙂 ) does amazing work at the Highland Youth Garden and is truly an inspiration for how someone can share their time and talents for the betterment of a community. Hope y’all had fun at Lakeside this year! I have heard a lot about you and know that you are well loved in this family, Doc! Thank you for taking the time to stop by and comment on this post. Chris and I are so excited to be able to support the Highland Youth Garden in this way and help others find out a bit about it. Come back anytime! Thank you so much for sharing this information! Highland Youth Garden is a truly incredible place that is making very important change. They provide a safe educational space for children to grow and try new healthy foods– truly amazing! Thanks so much for stopping by and commenting! It is such a great cause and Chris and I are so excited to be sharing it with my readers. Bill has such a gift and is so generous that it makes it easy to get behind this project. Thanks again for stopping by. Please come back all month and comment. Sounds great, Beth Ann. You really do your homework. 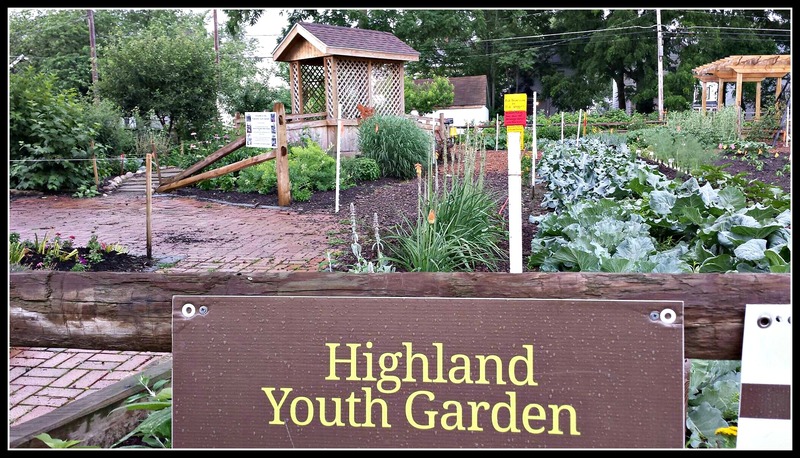 The rain has been challenging here in Columbus, Ohio all summer, but the kids keep coming to the Highland Youth Garden. We have been picking green beans, eggplant, kohlrabi, kale, summer squash, tomatoes and half runner green beans. We started sowing seeds for cool season fall crops earlier this week. Things like cabbage, cauliflower and broccoli. We will end up with 10-12 different fall items. A highlight this season is our Chef’s in the City program. Twice a month, Chef Jim from the OSU Wexner Medical Center comes to cook produce raised in the garden by the children. Eighty children attended last week:). Thanks again for everyone’s support. Wow! 80 children!!! That is amazing and such a great thing for them. Thank YOU for all that you are doing for these kids and for the community. I need to do an update on the blog with more info, don’t I? I will try to get on that! Because *I’m* so in love with this project, and with Bill’s heart and enthusiasm, I shared this on my FB page as well as in the church FB group. I keep thinking we could be using our church “yard” to do something like this on a much smaller scale…. I could totally see you guys doing something in Hayesville! That would be exciting! Every child deserves a garden. Yes. And this garden is such a wonderful thing that so much love and hard work and dedication has gone into. I love everything about it. Thank you for taking the time to stop by, read and comment. You rock! Did you ever discover a way to contribute directly to the Garden? All the searches I did seemed to be pretty indirect routes, with no guarantee it would go directly to Bill’s effort. I’m OK with that, but wondered if you knew a path that would go directly to the subject of this post? He was working on the donate button for their site but it hasn’t happened yet. I think a check is the best route so I will get some more info and let you know! Oh Marcia!!! Thank you so much for stopping by! You have one very special man and you should be proud of him. Without a doubt. We are so excited to be highlighting the Garden this month. Please feel free to share it far and wide! Coop! Hope to be able to visit with you again, some day! This is a great place for kids and adults alike. I’m glad to have found a home for my gardening and teaching skills! Lisa– thank you so much for what you do for the garden! Amazing place!!! My brother has always loved gardening an d children. Great cause to support. Your brother is amazing. Heck– your whole family is!! If you give a man a fish or in this case a vegetable, he’ll eat for a day. If you teach him to GARDEN, he’ll eat forever! Not EXACTLY the quote from the Bible, but it works in this case! Bravo & nicely done! Terrie Lou– thank you for taking the time to stop by and comment. I love your take on what the garden does for so many. What a blessing!!! Thanks for stopping by, Cathy. I love how everyone loves this cause this month. I know Bill’s sister, Robie, and her love of working with children… being a teacher myself, I know kids love to work with their hands and get messy! My 5 year old loves to work in the garden with her daddy & has her own small box garden with carrots and sunflowers! Love this project! I love gardening and anything that encourages it. Highland Gardens is a wonderful project. Thanks to Lisa Hobson for promoting it. Thank you for stopping by and taking the time to comment! It is great to see how God uses each person in this story, isn’t it? I agree with Lisa that Bill is an amazing blessing to the garden. I also volunteer in the garden and I am amazed at the enthusiasm that he brings every time he is in the garden. The children that come to the garden have such excitement to learn about growing food. They made a pizza with eggplant on top of it this weekend and proclaimed it was better than pepperoni pizza! Beth, (great name, by the way) thank you so much for taking the time to stop by and leave your comment to help raise money for the Garden. I love all the volunteers that are involved and how dedicated each and every one of you are to helping children and their families be a part of something really wonderful in their community. Thank YOU for all that you are doing! What an awesome way to give back! Thanks so much for stopping by! I love what they are doing there and know that there is a lot more going on than just gardening. Mentoring and friendships are being made. Great cause, great idea that could spread easily to your area and mine, and as a side note, great brother-in-law to have as he encourages everyone to be all that they can be. Thanks for stopping by, Linda. I agree. It is a great idea that is easily transferrable to any place in the country if someone has the passion to make it happen. I think everyone agrees that Bill is pretty amazing, right? Thanks again! It’s great to have something like this to get the kids involved in their communities in a positive way. Keep up the good work! Emily–thank you so much for taking the time to stop by and comment for the Highland Youth Garden. It is truly a wonderful way to involve children in something positive and give them something to be proud of in they community. Thank you for your support! The garden is absolutely amazing! As well as the kids and and volunteers who make it happen! Thanks for highlighting it, I really enjoyed the pictures and reading the posts. Thank you so much for taking the time to stop by. Everyone who is connected with the garden in any way is amazing and dedicated to the cause. I love how much the children are invested in the work there and am thrilled to “meet” everyone who is so supportive of it. Every child should experience the miracle of growing food. What a wonderful program! This is awesome and much needed! Thanks for stopping by, Julie! Great to have so many people so excited about the garden and what happens there. Ever since I was a little girl, it’s been amazing to see my dad’s passion for farming. It’s even better now to see the amazing impact he’s had on this great community garden. Keep up the good work, padre! Another shout out for the Highland Youth Garden. I’ve shouted before, but will shout again. An inspiring, unconventional way to build a community. Wonderful opportunity for city children to participate in growing food then getting to prepare and eat! It is an amazing cause, don’t you think? I love the passion that everyone associated with the Garden has! Thank you for stopping by!